Sayenko Kharenko is Ukraine’s leading law firm with an internationally oriented full-service practice and a Ukrainian law representative office in London. 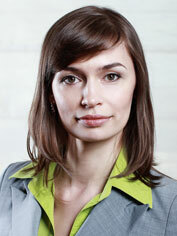 In 2013, Sayenko Kharenko collected the national Law Firm of the Year Award three times, having been recognized Ukraine’s best team both by IFLR European Awards 2013, Who’s Who Legal Awards 2013, and Yuridicheskaya Practika Legal Awards 2013. The firm remains the unrivaled leader in Ukraine by project volume, and has been named No.1 in terms of the number of the largest projects in Ukraine for nine years in a row, according to Top 50 Law Firms research by Yuridicheskaya Practika Publishing. It advises clients on all aspects of international arbitration, starting from pre-dispute stage to post-award stage of enforcing final arbitral awards. The firm’s arbitration lawyers have deep insight into the arbitral proceedings built on their experience of serving as arbitrators, legal counsel and experts. The team handled over 80 arbitrations under a variety of arbitration rules covering all major spheres of international business. Development of international arbitration and its wide use as an effective means for international dispute resolution poses new challenges to arbitration institutions all over the world. Their reaction to these challenges might be particularly interesting to potential arbitration users, especially to those who have already concluded arbitration agreement in favor of one or another institution. First, the principle in economics that “demand creates its own supply” in the arbitration world has caused creation of many national and regional arbitration institutions offering services for administration of arbitral proceedings. Second, the constantly growing number of arbitration institutions provoked growth in competence among them for arbitration users and respective “market” share of arbitration cases. Third, arbitration users become more exacting, since the complexity of international transactions and disputes arising out of them requires more sophisticated procedural tools in arbitration. These major factors have prompted many arbitration institutions to adopt new rules in order to look more attractive for potential arbitration users. This trend concerns both national/regional institutions and world major arbitration centres, and only in 2012-2013 includes the arbitration rules of AAA, CIETAC, ICC, HCIAC, PCA, SIAC, VIAC and Swiss Rules to name but a few. This “beauty contest” requires that arbitration users carefully analyse the introduced amendments, even more so if their arbitration agreements have been concluded before adoption of new rules and the expectations of parties as to the arbitral proceedings might have been based on a previous edition of respective rules. The majority of arbitration agreements do not specify the particular edition of chosen institutional arbitration rules. If so, when the dispute is referred to arbitration, the applicable edition of the arbitration rules is determined by the institution itself — according to the provision of the new rules, if adopted. The general rule for such a situation is to apply the new edition of the rules to any arbitral proceedings initiated after this edition has come into force. Put in other words, most probably the parties will have to arbitrate their dispute under the new rules, however different from the old ones they might be. Normally, the parties do not even contemplate such a possibility when concluding the arbitration agreement and made their choice bearing in mind previous edition of the rules. In addition, new rules might have a number of opt-in and opt-out provisions, which might be important for the parties and require additional agreement to be reached by them. Thus, in order to avoid “surprises” in arbitration and to benefit from the new procedural opportunities to the maximum extent, it would be useful to know at least the major changes of the arbitration rules most often chosen in transactions involving Ukrainian business, Ukrainian assets or other Ukrainian elements. Such rules include, inter alia, ICC, Swiss Rules and VIAC. (v) Multi-party and multi-contract arbitration (issues of consolidation and joinder). The revised Swiss Rules of International Arbitration (the Swiss Rules) came into force on 1 June 2012. One of the changes is a structural one to allow more extensive case administration under these rules. The new name of the arbitration institution is the Swiss Chambers’ Arbitration Institution. Its administering body is now called the Arbitration Court (the Court). One of the novelties of the revised Swiss Rules is emergency relief proceedings (Article 43). The latter provides the claimant with an opportunity to request interim measures before the tribunal is constituted. Respective application for emergency relief is to be considered by a sole emergency arbitrator within 15 days. His or her decision shall have the same effect as a decision of an arbitral tribunal on interim measures of protection pursuant to Article 26 of the Swiss Rules. According to Article 4(2) of the Swiss Rules: where one or more third persons request to participate in arbitral proceedings already pending under the Swiss Rules or where a party to pending arbitral proceedings under the Swiss Rules requests that one or more third persons participate in the arbitration, the arbitral tribunal shall decide on such request, after consulting with all of the parties, including the person or persons to be joined, taking into account all the relevant circumstances. Pursuant to Article 4(1) of the Swiss Rules, where a notice of arbitration is submitted between parties already involved in other arbitral proceedings under the Swiss Rules, the Court may decide, after consulting with the parties and any confirmed arbitrator in all proceedings, that the new case shall be consolidated with the pending arbitral proceedings. The Court may proceed in the same way where a notice of arbitration is submitted between parties that are not identical to the parties in the pending arbitral proceedings. When rendering its decision, the Court shall take into account all the relevant circumstances, including the links between the cases and the progress already made in the pending arbitral proceedings. Another novel is the provision regarding settlements in Article 15(8) of the Swiss Rules. With the agreement of each of the parties, the arbitral tribunal may take steps to facilitate the settlement of the dispute before it. Any such agreement by a party shall constitute a waiver of its right to challenge an arbitrator’s impartiality based on the arbitrator’s participation and knowledge acquired in taking the agreed steps. A new version of the Rules of Arbitration and Conciliation of the International Arbitral Centre of the Austrian Federal Economic Chamber in Vienna (Vienna Rules) took effect on 1 July 2013 and applies to all proceedings initiated on or after that date. One of the most important novelties in the Vienna Rules concerns the joinder of a third party in an arbitration. According to Article 14 of the new Vienna Rules the joinder, as well as the manner of such joinder, shall be decided by the arbitral tribunal upon the request of a party or a third party after hearing all parties and the third party to be joined as well as after considering all the relevant circumstances. The New Vienna Rules introduce more detailed provisions regarding consolidation and entrusts this issue to the Board of the VIAC. According to Article 15 of the New Vienna Rules, two or more proceedings may be consolidated upon a party’s request if the parties agree to the consolidation; or the same arbitrator(s) was/were nominated or appointed; and the place of arbitration in all of the arbitration agreements on which the claims are based is the same. The Board shall consider all relevant circumstances in its decision, including the compatibility of the arbitration agreements and the respective stage of the proceedings. The new Vienna Rules now requires confirmation of an arbitrator’s nomination made by the party/parties or the co-arbitrators. Pursuant to Article 19 after an arbitrator has been nominated, the Secretary General shall confirm the nominated arbitrator, if no doubts exist as to the impartiality or independence of the arbitrator or his ability to carry out his mandate. The nominated arbitrator shall be deemed appointed only upon such confirmation. The New Vienna Rules give parties an opportunity to opt for an expedited arbitration procedure in their arbitration agreement or if the parties subsequently agree to their application. The procedure is regulated in Article 45 and differs from the regular proceedings mainly in shortened deadlines for several procedural steps. The New Vienna Rules provide the claimants with a new tool against a respondent who refuses to pay their part of the advance on costs. According to Article 42(4) if the claimant pays the respondent’s share in such a situation it may further request the arbitration tribunal to order the non-paying party to reimburse the paying party by a separate award or other appropriate form. Such decision does not affect the arbitration tribunal’s authority and obligation to determine the final allocation of costs. The LCIA also recently released its Draft Rules 2014. In fact, the Draft follows the well-known approach of the LCIA of light administration of disputes. Among the more substantive additions the proposed introduction of an “emergency arbitrator” procedure as an alternative to urgent appointment of a tribunal. The most controversial proposals to include as Annex “General Guidelines for the Parties’ Legal Representatives,” which are “intended to promote generally the good and equal conduct of the parties’ legal representatives appearing by name within the arbitration proceedings” and granting specific powers to impose sanctions on a party’s legal representatives for their violation. So, evidently the said process of innovations shall continue. All the above makes it clear that the peculiarities and procedural innovations of the rules are to be taken into account when drafting an arbitration clause for a particular contract or dispute. It would probably make sense to avoid “default clauses” and to carefully consider all applicable “opt-in” or “opt-out” clauses when choosing the place and rules for your dispute so as to make a timely and well-weighted choice.